Invoice factoring is a type of accounts receivable financing that converts outstanding invoices due within 90 days into immediate cash for your small business. The factoring company will typically pay you in two installments for your invoice: an advance of 80 percent to 85 percent of your invoice and the remaining 20 percent (minus fees) after the invoice is paid. Fundbox, the sponsor of this article, has no minimum credit score required and can actually advance 100 percent of the value of unpaid invoices. With Fundbox, you get AR financing without all the restrictions that go along with invoice factoring. You can get up to $100,000 with rates as low as 0.5 percent per week. Pre-qualifying online is easy and you can be funded in as little as one day. 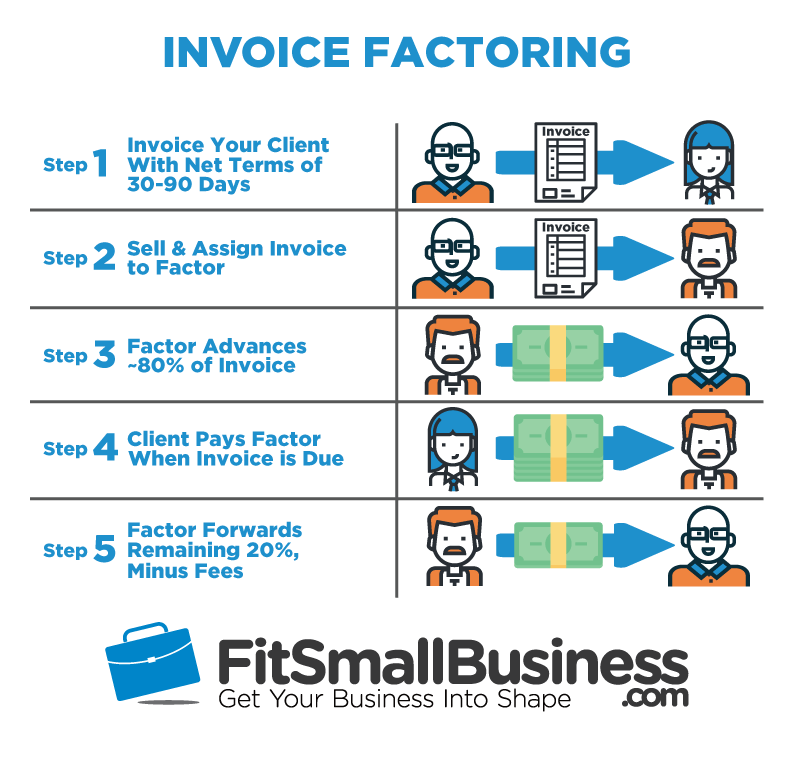 Invoice factoring is a financing tool available to businesses that do a lot of B2B or B2G invoicing. Invoice factoring provides short-term working capital in exchange for selling and assigning invoices to a factor. The factor advances you 80 percent of your invoice value. Once the invoice is paid, the factor pays the remaining 20 percent (minus fees). Though similar, small business invoice factoring is not the same thing as invoice financing (or accounts receivable financing), although the terms are often used interchangeably. Invoice financing is more streamlined, easier to use, and doesn’t require the assignment of invoices like factoring does. Plus, an invoice financing company like Fundbox can work with B2C invoices. Invoice factoring is typically a solution for short-term cash flow problems. It is frequently used as a way for businesses to simplify their cash flow conversion. Invoice factoring is not traditionally the type of financing that is used for big capital investments. 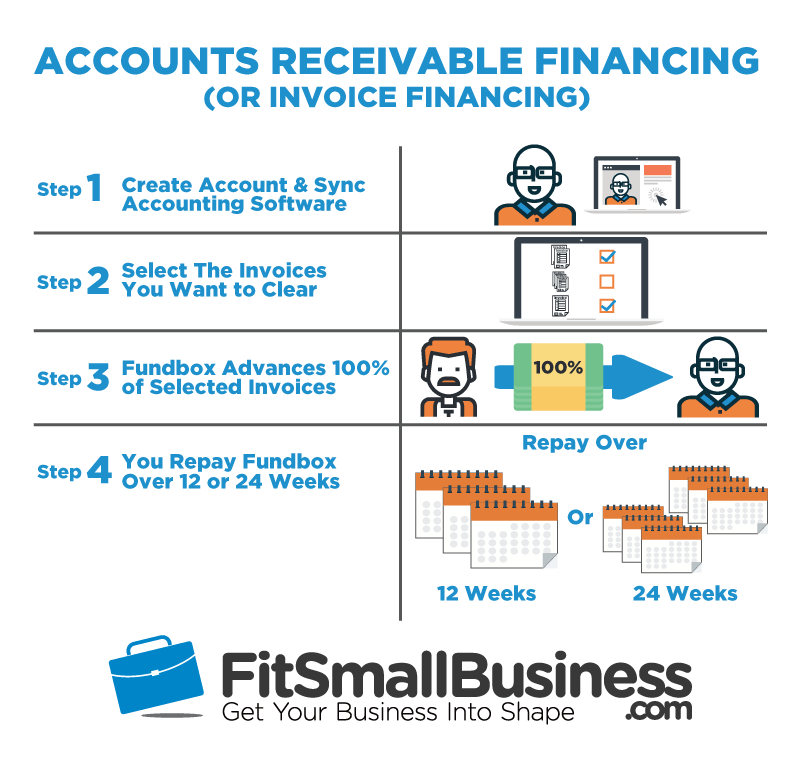 With small business invoice factoring, your accounts receivable (invoices) due within 90 days are sold to a third party (referred to as a factor). It’s a quick and easy immediate cash source. You’ll receive an initial advance of approximately 80 percent of your invoice upfront. Once your customer pays the invoice, you’ll receive the remaining 20 percent (minus fees). Once you have provided products or services to your B2B or B2G customer, you issue an invoice for them to pay you. To qualify for factoring, these invoices must be payable within 90 days. You find a factor you want to work with, go through the application process, and sell them all of your outstanding invoices. When you submit an invoice to a factor, a few things will happen. First, the factor will determine if you meet eligibility criteria to receive financing. They will also conduct due diligence on the customers you’re invoicing to see if they are good credit risks. If the factor decides to approve your business based on that research, you and the factor will sign a financing agreement. The agreement will set an initial maximum dollar amount that you can borrow, which is the maximum factored amount outstanding at any given time. The factor gives you an initial advance called an advance rate. The advance rate is generally around 80 percent of the value of the factored invoice. The amount of your advance depends on the size of your transaction, your industry, and other risk parameters. At this point, the factor may also send out a “notice of assignment” to the clients you have chosen to factor, or they may ask you to do so. The notice of assignment states that your company has assigned the factor as the entity to receive future payments for invoices you issue them. All payments will go to a lockbox account (like a designated account for the factored invoices to be paid), which is set up by the factor. Some industries are more accustomed to invoice factoring than others. Trucking and shipping companies commonly use freight factoring, and staffing companies and recruiting agencies use staffing factoring. In industries where factoring is common, telling a client you’ve assigned their invoice might not be a problem. If factoring isn’t common in your industry, you might benefit from invoice financing, which doesn’t require invoice assignments. Your client will pay the factor within 90 days according to the terms of the invoice. The factor will typically handle the collection on all the invoices you assign to them. Typically, the factor tries to follow your history of collection techniques, unless the client is past due. This means there is generally no negative impact to your customers. After receiving payment from your client, the factor will give you the remaining balance of the invoice, called the reserve amount, minus their fees. Invoice factoring is right for businesses needing a consistent cash flow solution and who invoice $25,000 or more per month to B2B or B2G customers. If you choose invoice factoring, you need to be prepared to bring a partner into your business on your accounts receivable management and collections process. This includes a willingness to give up some customer control, as your factor will likely have contact with your customers. Invoice factoring is a good working capital solution for businesses of many different ages and sizes, as long as you have qualifying invoices. Many factoring companies will even work with you if you’re a startup. The typical fees and overall costs can be tricky to understand, but all typically fall into the ranges in the table below. Invoice Qualification Requirements Payable within 90 days and free of all liens. Factors and their lending programs can vary significantly. Some factors specialize in lending against invoices due in 90 to 120 days, while others specialize in larger or smaller borrowing limits. Fundbox gives businesses the flexibility of easily clearing invoices for as little as $100 and as much as $100,000. Simply create an account for free, then sync your bookkeeping software. Qualifying for small business invoice factoring is easier than qualifying for long-term financing. While credit scores, annual revenues, and profitability can be significant hurdles for other types of financing, those are less often issues with small business invoice factoring. You must invoice business (B2B) or government (B2G) customers. Your customers must have good credit scores and they must be established businesses. The factor will need to feel comfortable that your customers are likely to pay off your invoice. Your business should not have a history of serious tax or legal problems. Some factors will have other requirements for your business, such as a minimum credit score or minimum time in business, but these requirements are usually far less stringent than other lenders. Learn more in our invoice factor buyer’s guide about the requirements of leading invoice factoring companies. If your business invoices consumers rather businesses or government agencies, you may qualify for invoice financing at Fundbox. Discount Rate (or Factor Rate): The discount rate is the primary cost of borrowing money from the factor and is typically charged on a weekly or monthly basis. The industry range is 0.5 percent to 5 percent of the invoice value per month. Many factors have a tiered system for their discount rates, so the more you factor in a month, the lower your discount rate is. Length of Factoring Period (time it takes your customer to pay): Discount rates are charged at regular intervals (usually weekly or monthly), so the length of time it takes for the customer to pay your invoice will determine your cost. Let’s illustrate the terms above with an example. Suppose you factor a $10,000 invoice at an advance rate of 80 percent and a discount rate of 3 percent per month. In this case, you would receive $8,000 upfront. If your client makes full payment on the invoice in 30 days, the factor will pay you the remaining $1,700 you are due, bringing the total amount you receive to $9,700. The remaining $300 is kept by the factor. Origination Fees: Upfront costs associated with initiating a new factoring relationship and opening your account; these could be up to $1,000. Incremental Fee: If your discount rate is a flat fee, then you may be charged an incremental fee to increase the total discount paid to the factor as an invoice ages. This fee can range from 0.35 percent to 1 percent. Service Fee or Lockbox Fee: This is a flat fee that your factor may charge you to keep a lockbox (like a designated account for the factored invoices to be paid) open for your customers to pay their invoices to. It can range from $50 to $500 per month. Collection or Overdue Fees: Your factor may charge you for their efforts required in collecting past due payments from your customers. Some will even charge you a flat fee for any payment that becomes past due. These fees vary greatly by factor and could be nothing to a few thousand dollars. Unused Line Fee: Charged for the unused portion of a factoring facility for a given month. It is typically stated as a percentage and charged on a monthly basis. It can range from 0.15 percent to 0.5 percent. Monthly Minimum Volume Fee: In the event you don’t generate a certain level of fees for your factor in a given month, they may charge you a fee up to $1,000. Renewal Fee: An annual fee applied after every full year the line is open. Could be up to 1 percent of the factoring facility size. ACH Transaction Fee: A fee of $5 to $30 that is charged for every advance or disbursement issued from the factor to you. Wire Fee: Charged if you request to receive a wire instead of an ACH, which is the preferred method of payment by most factors. The factor passes on the charge from their bank to you, typically $15 to $50. Credit Check Fees: These are small in comparison to the other fees, but your factor may pass the cost on to you for any credit checks they need on you or your customers. Ask each factor company you are interested in working with for a breakdown of their fees. Carefully review your factoring contract (with the assistance of an attorney, if needed). Compare different factoring proposals before signing on the dotted line. Invoice financing companies, like Fundbox, are far more straightforward with their fees. For example, Fundbox charges just 0.5 percent to 0.7 percent per week of the value of the invoices you choose to clear. It’s that simple. Opening an account at Fundbox is free, does not require a minimum credit score, and gets you qualified for financing in just a few hours. If you measure the costs and fees of invoice factoring as APR, it might look a little higher than you’re used to seeing with more traditional financing solutions. With short-term borrowing, like invoice factoring, total cost of capital can be more important than the APR. Total cost of capital is how much you will pay in your discount rate and other fees for the life of your repayment term on each factored invoice. 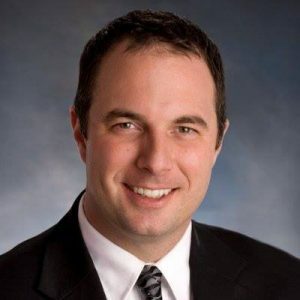 While long-term financing may have an APR around 7 percent, short-term working capital providers have APRs that range from 30 percent to 120 percent. Invoice factoring typically falls in between the two, with APRs that range from 28 percent to 60 percent. Keep in mind that comparing the effective APR of a 0.5 percent to 1 percent weekly discount rate to the APRs of more traditional loans can be slightly misleading. That’s because you’re borrowing the funds for a short period of time, so the total cost of borrowing those funds will be relatively small. For example, let’s say you factor $10,000 for 30 days with a 1 percent weekly discount rate. Your total cost to factor would be $400, even though technically your APR would be 52 percent. But if you borrow the same $10,000 and spread out the payments with a five-year repayment term at a 7 percent APR, then the total cost of capital is $1,880.72. One aspect of invoice factoring that turns away a lot of businesses is the level of contact between the factor and your customers. This worry stems from the fact that your customer will have to pay the factor, not you. Some small business owners imagine this will result in their hard-earned customer being repeatedly contacted by a company they’ve never heard of and being told to pay up. These concerns aren’t completely unfounded, but they are exaggerated. In reality, some factors will want direct communication with your customer to verify invoices, verify the assignment of the invoice, and make payment arrangements. However, this is more common in industries where factoring in general is more common and preserving relationships is a top priority. Some factors create an arrangement where the factor has far less (and in some cases, zero) direct communication with your customer. In some cases, this is done by opening a new bank account, which the factor controls but which is listed in your business’ name. You notify your customer of the new account information. If the factor contacts your customer, they will simply present themselves as your billing department. The invoice financing available through Fundbox doesn’t involve any customer contact, which makes it a very discreet option for businesses that are looking for between $100 and $100,000 in working capital. The speed of getting money may matter to you more than anything else if you’re depending on it to make payroll or buy something essential for your business. The time frame for you to be funded using invoice factoring is comparable to getting a short-term loan, but it varies by factor. You can generally qualify within two to seven days, and be funded in one to three business days after that. Invoice financing companies, such as Fundbox, are even faster. They require no paperwork because their application and approval processes are completely electronic. They can approve you in hours and get you funded as soon as one business day. 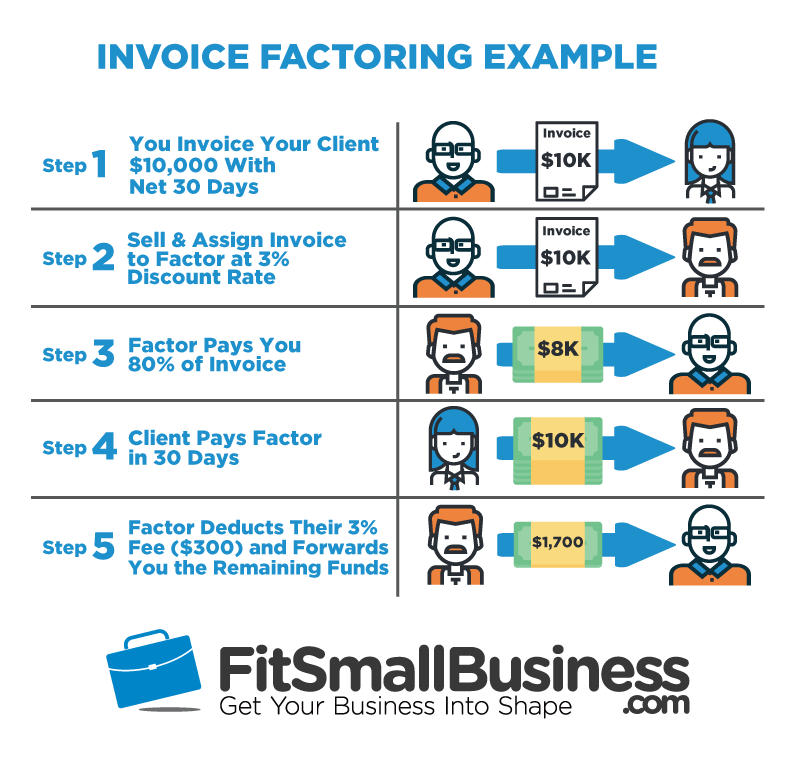 One of the most important concepts to understand when considering invoice factoring is recourse factoring vs. non-recourse factoring. This tells you what happens if your customers don’t pay the invoice on time. Recourse factoring means that the factor has the right to collect payment from you if your customer doesn’t pay the invoice within a reasonable time after its due date. This can be a problem if you’ve already spent the money you received from the factor. This is why you should only factor invoices to customers who reliably pay on time. Fees can continue to accrue until the factor is paid, often creating a new cash flow problem. Non-recourse factoring is when the factor accepts the risk that the customer won’t pay. In this case, even if your customer doesn’t pay the invoice on time, your business won’t be on the hook for it. Some firms advertise “non-recourse” factoring, but on the contract, they list several reasons why an invoice can be exempt from no recourse. Other factors will offer partial recourse agreements. Small businesses should tread cautiously and read their entire contract carefully to make sure what they will and won’t be responsible for if their clients don’t pay the invoice or pay the invoice late. Spot factoring is when a company sells and assigns a single invoice to a factor. While this might be preferred by the company, many invoice factoring companies do not prefer to factor in this way. Factors don’t like spot factoring because the application process and underwriting isn’t significantly different than if they were to factor all your invoices. That means the factor is doing more work by not being able to earn much money off your account. Contract factoring is far more common that spot factoring and typically requires a minimum monthly volume be factored with them (usually $10,000+), or that every invoice to a specific customer be factored. In general, we’re not fans of the long-term commitments required by contract factoring. Many small businesses often have a variety of customers who pay on different terms, and their financing needs may change, making the flexibility of spot factoring a better option. Fundbox lets you choose which invoices to clear and when to clear them. This gives your small business a high degree of flexibility. Factoring is an area in which industry familiarity matters. The industry you and your customers are in can affect your terms and cost. Some factors specialize in providing financing to specific industries. Conversely, some factors won’t provide financing to certain types of industries. Do your research and find a factor that understands the needs and norms of your industry. Invoice factoring is the process of selling accounts receivable to an invoice factoring company. It provides an immediate source of cash for small businesses with relative ease. As with any type of financing, there are pros and cons associated with small business invoice factoring. No Credit Score Requirement: With invoice factoring, your customer’s creditworthiness is more important than yours. This means you’re able to get financing even if you have poor credit. You Get to Work with AR Experts: A potential upside to invoice factoring is the ability to develop relationships with AR management experts. 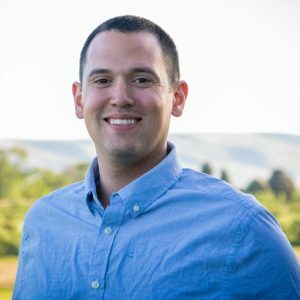 Since this is what your invoice factoring company does on a daily basis, it likely has really good accounts receivable management techniques. You get the benefit of their expertise. Quick Source of Cash: Invoice factoring provides a quick source of cash. You can typically get approved within two to seven days and funded in one to three days. There are, however, other fast business loans you could consider. It’s always good to weigh your options. Customer Contact: You can expect your invoice factoring company to contact your customers, although the level of interaction will vary depending on your provider. If your business is in an industry where invoice factoring is common, this may not be a problem. However, it is something to consider as you’re figuring out if factoring is right for you. Cost Is Expensive: With invoice factoring, not only are the interest rates higher than with other types of financing, but there is also the potential for fees. Some invoice factoring companies aren’t very transparent about their pricing, and so you could be hit with hidden fees. It’s important to read your contract closely to make sure you understand the total costs. Your Invoices Are Sold: A feature of invoice factoring is that you’re selling or assigning your invoices to the factoring company. While this gives you an immediate source of cash, you’re also giving up some control. Plus, this process takes longer than with an option such as invoice financing, where you’re simply borrowing against your invoices. With Fundbox, you get AR financing without all the restrictions that go along with invoice factoring. This makes it a great option. You can get up to $100,000 with rates as low as 0.5 percent per week. Pre-qualifying online is easy and you can be funded in as little as one day. Invoice factoring is a great financing solution for businesses with B2B and B2G invoices due within 90 days. However, it may not be the right solution for every business. The most natural alternative to invoice factoring is invoice financing. Other potential alternatives include a small business line of credit and a small business credit card. We’ll touch on those first, then compare invoice financing with invoice factoring. As an alternative to invoice factoring, a small business line of credit (LOC) allows you to make advances against a pre-established credit limit. An advantage to this is you only pay interest on the amount advanced. This is a great alternative to invoice factoring if you’re only looking to bridge a small short-term need and if you have good credit. Check out our article about some of the Best Small Business Lines of Credit. A final alternative to invoice factoring is a small business credit card, which is another short-term financing option popular amongst small businesses. A business credit card is a good option for businesses that are very small, want to manage employee expenses, or earn rewards. 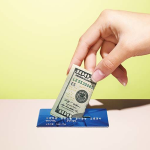 Check out our article about some of the Best Small Business Credit Cards. An alternative to invoice factoring, invoice financing (aka accounts receivable financing or AR financing) is a technology-based financing solution. It gives you a simple way to fix your cash flow problems by advancing payments for your outstanding invoices. Invoice financing does not require the sale or assignment of invoices, and there is no third party interaction between your provider and your customers. This makes invoice financing faster and easier than traditional invoice factoring. “Invoice financing is different from invoice factoring in a few important ways. First, invoice financing doesn’t interfere with your client relationships. Most factoring companies will collect directly from their customers’ clients, which can create an awkward dynamic. Also, invoice financing companies will often advance a larger percentage of the invoice value (up to 100 percent), whereas factoring companies often only give around 85 percent of the value. Finally, with invoice financing, you can advance as many, or as few, invoices as you want and you’ll only pay fees when you advance. 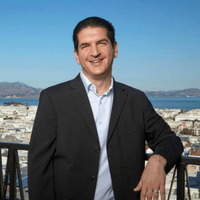 Often factoring companies purchase all of a small business’ accounts receivables, so the business might get saddled with a lot of unnecessary debt.” – Fundbox CEO, Eyal Shinar. If your business is looking for a seamless, fast invoice financing solution, set up an account for free at Fundbox. Sync your accounting software and see if you qualify for financing. With rates as low as 0.5 percent per week and funding up to $100,000, Fundbox can help you turn unpaid invoices into cash, fast. While the terms invoice factoring and invoice financing are often used interchangeably, they are different funding options. Let’s look at how Invoice Financing compares to Invoice Factoring in the table below. Factoring is a relationship driven financing option: When working with an invoice factoring company, you and the factor will be in regular contact, typically every week. You’ll work together to factor new invoices, collect outstanding invoices, and make repayment decisions. Your factor can help you simplify your cash flow conversion process. Your customer’s creditworthiness is more important than yours: Another aspect of invoice factoring that can be a huge benefit to small business owners is that you’re relying on your customer’s creditworthiness, not your own. So, if your business isn’t in the best credit shape, you can probably still get access to the funds you need. Faster than Factoring: Invoice financing companies like Fundbox can fund your invoices as soon as one business day. You don’t have to mess with assignment notices because invoice financing is more like a line of credit product in that you are borrowing based on your accounts receivable. More Flexible than Factoring: One of the best things about invoice financing is its flexibility. You can finance specific invoices that match your working capital needs in terms of both dollars and timing. Easier than Factoring: Invoice financing is usually easier to qualify for than invoice factoring and the process is faster. With a company like Fundbox, you can apply today and potentially have funds as quickly as tomorrow. No Hidden Fees: With invoice financing, you pay back each invoice within 12 or 24 weeks by paying one weekly payment that covers the cost of the invoice for each week plus a small fee. There are typically no extra fees. No Third Party Interaction with Your Customers: Because you do not assign your invoices to your provider, there is no need for them to ever contact your customers. “Invoice financing can be a great solution for businesses looking to grow at a controlled pace. With invoice financing, you’re leveraging your business’ existing cash flow to grow, so there’s less of a risk of over-extending your business with too much credit or credit at unfavorable terms. Similarly, invoice financing doesn’t rely on traditional credit underwriting the way a line of credit or term loan would, which makes it a good option for businesses that may have less than stellar credit scores. So if you’re a business looking to grow or manage your cash flow more effectively, invoice financing may often be a smart way to do so.” – Fundbox CEO, Eyal Shinar. Fundbox can approve your business within hours and help you get funded for your unpaid invoices in as soon as one business day. Their flexibility allows you to pick and choose which invoices you want to finance, and they will never contact your customers. This article has provided a lot of information about invoice factoring. However, as with any lending program, some questions are asked more frequently than others, which we’ve tried to address here. If we haven’t answered your question, feel free to share it with us in our forum and we’ll provide an answer. Do I Have to Give up Customer Control with Invoice Financing? With invoice factoring, you typically need to give up some of your customer control to your invoice factoring provider. This is not typically the case with accounts receivable financing. With invoice financing, your relationship with your customers typically remains unchanged. You’ll continue to bill and collect your invoices just like normal. Does Invoice Financing Work for Companies with Credit Problems? While most invoice financing companies will take your credit into consideration to some extent, it’s typically less of a concern than with other types of working capital loans. If a credit score is required, it will typically be low (530+ for BlueVine), or there may be no minimum credit score requirement (like with Fundbox). How Do Businesses Qualify for Invoice Factoring? Unlike most short-term financing, which is based on the creditworthiness of your business, qualifying for invoice factoring has little to do with you. Since repayment is based on your customers paying their invoices, the ability of your customers to repay is typically the most important. The creditworthiness of your customers matters more than your credit. What Does a Factoring Company Do if My Customers Don’t Pay Their Invoices? What happens in the event your customers don’t pay their invoices depends on the arrangement you’ve made with your invoice factoring company. With non-recourse factoring, the factoring company is responsible if invoices aren’t paid because your customer filed for bankruptcy or is otherwise insolvent. It’s important to read your contract closely to understand your responsibilities. Will I Be Required to Factor All of My Invoices? The arrangement you’ve made with your invoice factoring company determines if you have to factor all your invoices. With spot factoring, you get to pick and choose the invoices you sell to the factor. Contract factoring, which is more common, requires a minimum monthly volume or sets requirements on which invoices you have to sell. Factoring can seem a little more complicated than getting a loan from a bank. However, what makes factoring complicated is also what makes it appealing. You can borrow money based on your unpaid customer invoices to meet your immediate cash flow needs. As long as your clients pay in a timely manner, the cost of factoring is more affordable than many other short-term business loan alternatives. Fundbox offers fast, affordable invoice financing of up to $100,000. With rates as low as 0.5 percent per week and repayment periods of 12 or 24 weeks, Fundbox makes waiting for invoices to be paid a thing of the past. Opening an account at Fundbox is free. If you’re approved, you can just pick and choose which invoices to clear, with funds transferred as soon as one business day. how do I report the percentage paid in fees to the factoring company at the end of the year ? How factored invoices are reported to the IRS can vary based on the specific of your factoring arrangements. In some situations, you will have actually sold ownership of the receivable to the factoring company and in those situations may only be responsible to claim what you received from the factor as income. In other situations, you will retain ownership of the receivable and simply be advanced funds. In those cases you would likely claim the receivable as income and deduct fees. We recommend speaking with your factoring company and tax professional to make sure you’re on the right side of the IRS. This is a guide to invoice factoring well-made. I’m particularly glad to find a paragraph about when invoi e factoring is not right for a business included. As a factoring broker, I’ve had to advise many business owners to go in another direction when looking for alternative funding. Business owners should be very careful when coming into an agreement with a factoring company, as these agreements are usually long-term and take a few months notice to end. Thanks for joining the conversation and glad you enjoyed the article. What would you say are the most common reasons you have to advise a business owner to consider something other than invoice factoring? The most common reason for suggesting that factoring might not work for them is where there is insufficient margin with computer hardware being a typical example. I highly recommend Bay View Funding for businesses because we’re focused on delivering an excellent customer experience. Bay View Funding has multiple resources available to provide simple, reliable, and easy-to-understand invoice factoring. Great article, Ian! Another invoice factoring company to consider is Bay View Funding. We are an industry leader and have been helping businesses solve their cash flow challenges since 1985. We work with businesses of all sizes and a wide range of industries. If you have cash flow challenges, invoice factoring could be the key to get your cash flowing. Email me if you’d like to be considered as a source in future articles.